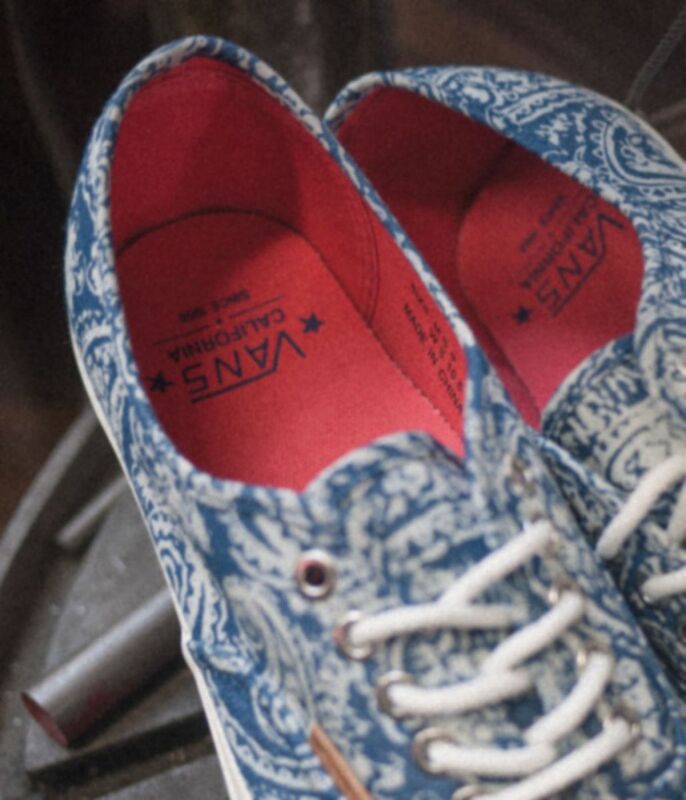 The Vans CA Authentic gets a high-class touch with a paisely print. 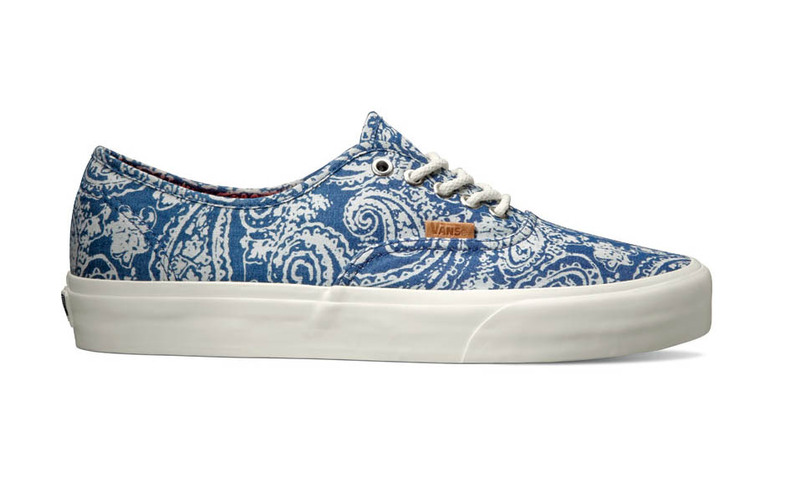 Being introduced with the Vans California Holiday 2013 is this high-class Authentic CA, decked out in paisley print. 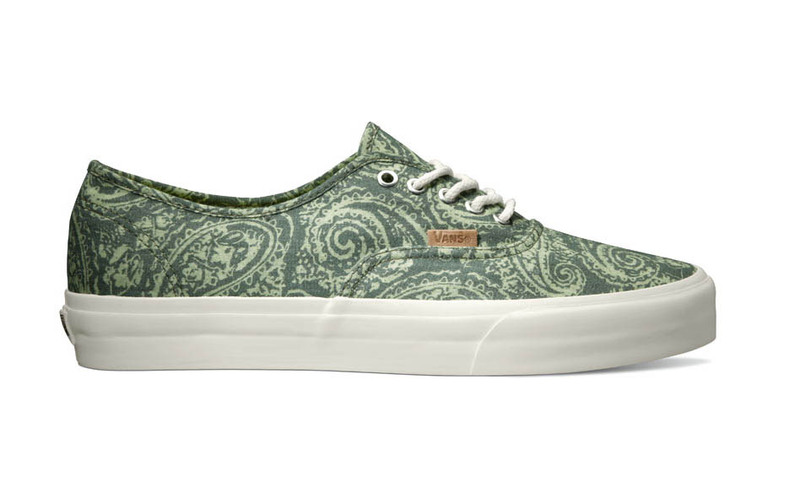 In your choice of two colorways including Limoges (blue) and Olivine (olive), the Paisley Pack features the classic Authentic in an antique-styled arrangement of paisley adorning the entire canvas upper of each shoe. Additional features include round laces, smooth midsole detailing and embossed leather hangtags. The Authentic CA Paisley Pack is available this October at select Vans California retailers.